Garden designer Scot Eckley and his wife, interior designer Devin Fitzpatrick, have created a year-round outdoor living space at their Maple Leaf home. 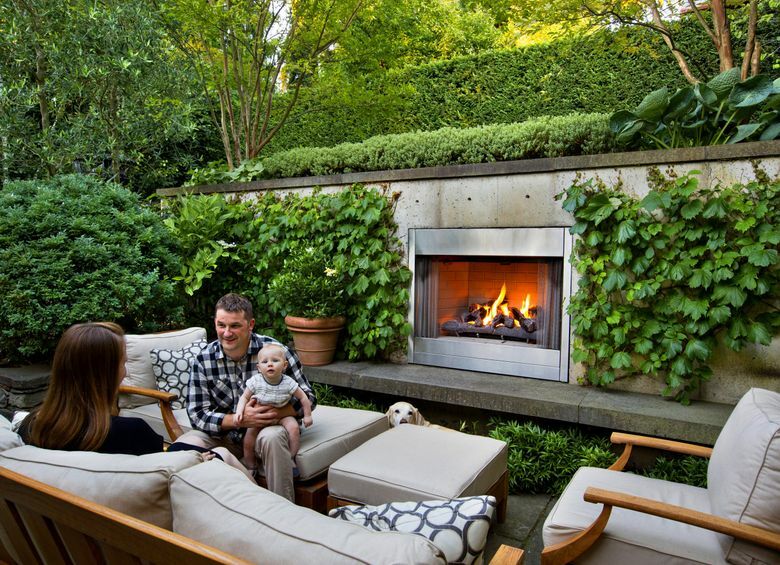 GARDEN DESIGNER Scot Eckley specializes in creating spaces for outdoor living. 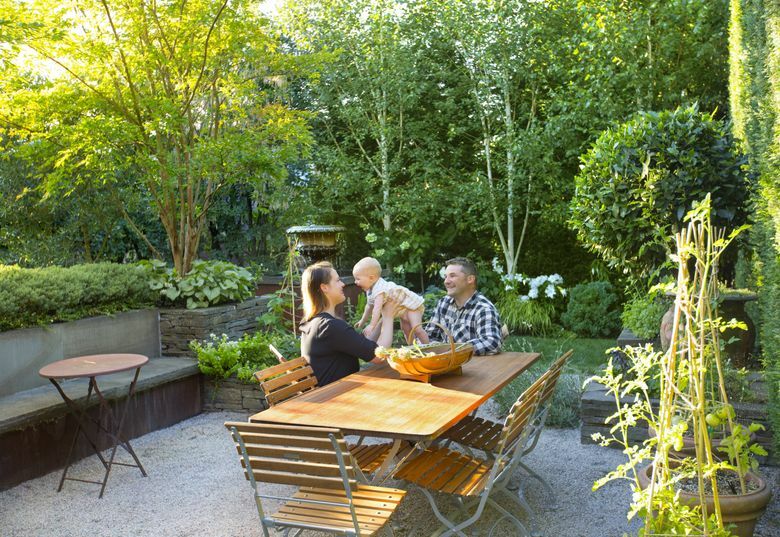 But when it came to the small urban garden he shares with his wife, Devin Fitzpatrick, and their baby, Eden, he faced quite a challenge. “It was a typical sloping Seattle backyard, in a so-so neighborhood, with panoramic views of the neighbors on all sides,” is how Eckley describes their less-than-auspicious property in the Maple Leaf neighborhood. But what design-build guy doesn’t like a challenge? A low retaining wall serves as bench and planter, and even the stone-walled vegetable beds are a graphic component of the garden, especially in winter when the plants die down. Eckley and Fitzpatrick worked together to integrate their 1930s home to the garden, and extend their living spaces outside. Now a Dutch door opens the old house to sun, breezes and a view of the back garden. Bluestone steps lead down into a gravel-floored dining room and sitting area. Fitzpatrick, an interior designer, had a long list of what she wanted in the garden, and acted as both client and collaborator on the project. “We had a plan on a napkin, didn’t we?” she asks Eckley, as her husband describes the process of taking their own garden from mess to modernistic. First came the hardscaping, which included leveling the property to create terraces and dry-stacked stone walls to divide up the space. Eckley chose golden-toned gravel for the floor of the dining room to reflect the light and make the space seem bigger and brighter even on gloomy days. “I always think a garden has to look great on the worst day of the year, even on January 6th,” he says. A row of birch trees, with their rough white trunks, stand out in winter, and at night when their trunks are lit by up-lights. In summer, cardoons, hydrangeas, crape myrtles and snowy white ‘Casablanca’ lilies star. “Each plant has a purpose,” says Eckley, whether it be a scrim of tall, white allium to loosely separate spaces, or bay tree standards for year-round height and structure. Eckley prunes the hedges twice a year to keep a crisp edge on the layers of yew, boxwood, olive, English laurel and Leyland cypress. The garden seems pleasantly roomy despite its 100-by-46 feet footprint. “It’s what I call the church social approach to landscaping,” explains Eckley. “You leave the center of the garden open.” He’s planted evergreen layers and taller deciduous trees for privacy around the garden’s perimeter. 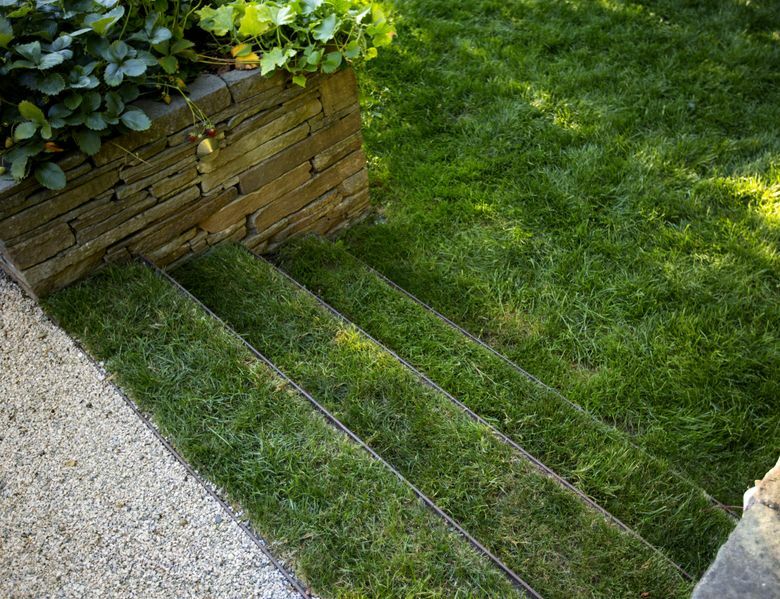 The spaces are partitioned by low walls, plantings and changes of level so you walk through various spaces as you make your way through the garden. The planting beds are narrow, and the green and white minimalist color palette contributes to the garden’s sense of spaciousness. 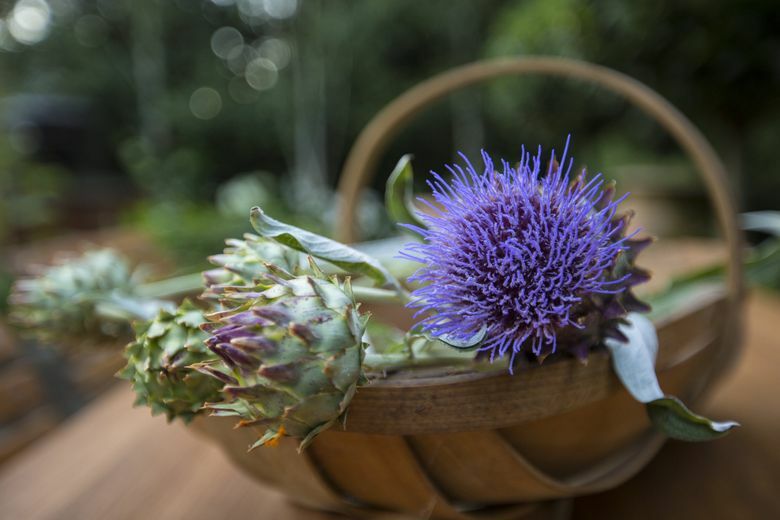 Your eye is caught less by flowers and more by distinctive, year-round touches, like stairs carpeted in grass and an old urn holding a statuesque cardoon. A large fountain serves as focal point while masking traffic sound from I-5. When it came to plants, there was controversy. Eckley likes a strong, clean-lined contemporary look. He thinks of plants in a supporting role, valuing them more for foliage color and texture than flowers. Fitzpatrick prefers a more traditional English garden and wanted flowers for fragrance and cutting. She ended up with plenty of lilies, anemones and hydrangeas to cut for the house, along with the nostalgic touch of a pleached hedge. 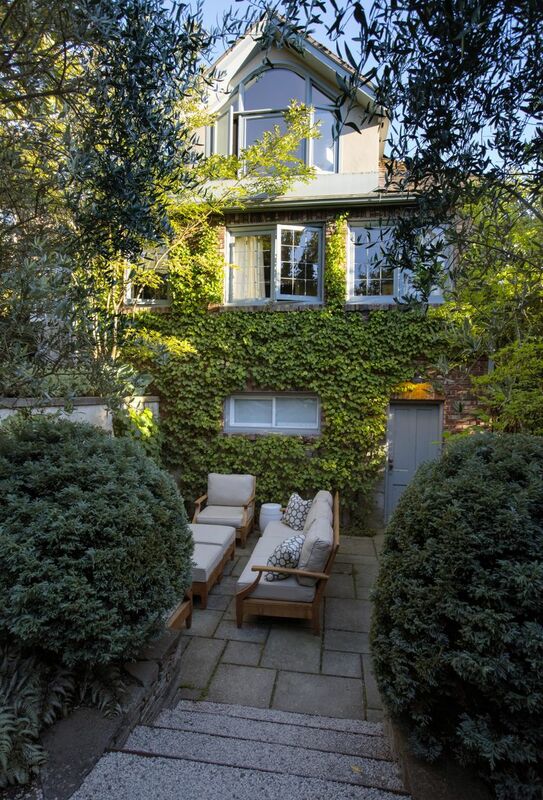 Yet the overall feel of the garden is clean-lined and contemporary, simple in design yet richly atmospheric in execution. 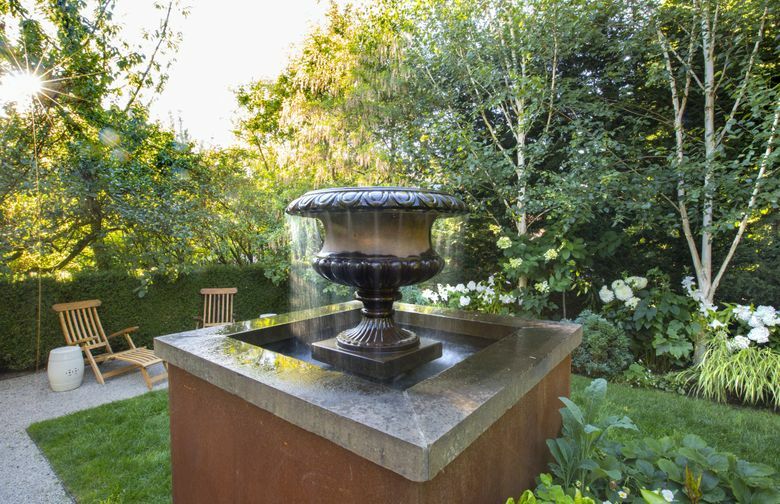 Together, Eckley and Fitzpatrick have created a harmony of yin and yang by combining textures, layering, modern materials and traditional sensibilities into a smart, little garden for outdoor living.